We are working on our conference line-up right now and we will add them to the website as we go. So check back soon for more information. If you'd like to see the speakers and topics from last year's conference, click here. 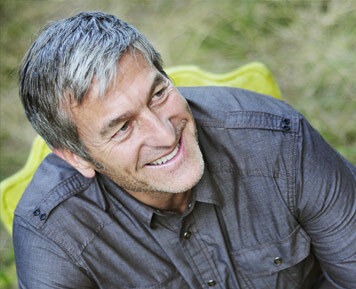 Jeffery Olsen, best-selling author and international speaker, will share his story of transformation and courage. In 1997, Jeff experienced a horrific automobile accident which inflicted multiple life-threatening injuries, including crushing his legs. His left leg was amputated. But the most devastating outcome of the accident was the loss of his wife and youngest son. Through this time, Jeff experienced profound spiritual experiences which gave him insights and gifts not common in today’s world. In his darkest hour he received guidance in the form of two words that changed his despair into hope. He will share with us his near-death experience and how he found the courage to heal, care for his living son and thrive in both his career and his contributions to the world. Jeff Olsen is executive director of a national consumer engagement agency involved in marketing campaigns for Fortune 500 companies. He has received creative recognition in Forbes Magazine, the Inc. 500 and has received an Ernst & Young Entrepreneur of the Year Finalist Award. Jeff is the author of, I Knew Their Hearts, in which he tells the story of his experiences. He has remarried and adopted two more boys. He lives with his family in Bountiful, Utah. Having come face to face with death a number of times in her life, Bernice Hill, Ph.D., has adopted death as a mentor. Through this process, she has gathered wisdom from a variety of teachers and traditions and come to understand more of the soul’s attributes and tasks. She sees that the great journey of dying is a vital function of our souls. Her current passion is "the expansion of human consciousness into its cosmic potential." Bernice will assist us in exploring the powerful journey of dying through story and guided imagery--and through understanding the stages of release into the afterlife. 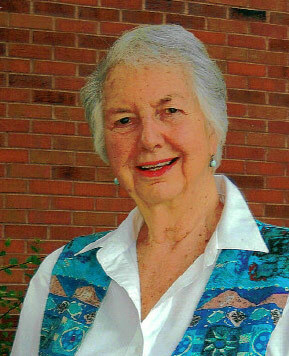 Bernice Hill is an author, teacher and Jungian analyst in private practice for over 30 years. She is a member of the International Association for Analytical Psychology (Zurich) and a training Analyst for the C.G. Jung Institute of Colorado. She is a member of the International Association for Analytic Psychology and Senior Training Analyst with the C.G. Jung Institute of Colorado. Over the years Bernice has made numerous presentations on Jungian topics. She has also conducted holotropic breath workshops at the Monroe Institute in Faber, West Virginia, and in Los Angeles. She has been involved with philanthropy conferences at MIT and Naropa University in Boulder, CO. Most recently, Bernice authored two books: *Spiritual Perspectives on Death and Dying (2015) and Emergence of the Cosmic Psyche: UFOs and ETs from the Perspective of Depth Psychology (2013). She resides in Boulder, Colorado. How might we bring our evolving understanding of conscious dying into the present moment? How might we be more gently and compassionately present to our lives as they unfold? What if waking up to this life offers a segue into a more peaceful departure? Reverend Jude LaFollette invites us to settle in, drop down and become aware of sensations, thoughts and emotions. Through story, poetry and mind-body practices she encourages us to hold the greater vista while fully accepting the sacred present. Judith La Follette continues a faithful exploration of spirituality, conscious living and matters of the heart begun over two decades ago. She has an M. Div. from Iliff School of Theology and is a Board Certified Chaplain in her ninth year at St. Mary-Corwin Medical Center in Pueblo, CO. A Unitarian Universalist minister, Jude served All Souls Church in Colorado Springs as Associate Minister before bringing her work to Pueblo. She has been training in and teaching mindfulness as brought forward by Jon Kabat-Zinn (MBSR) for four years. She currently teaches six 8-week “Mindful Me” classes yearly through St. Mary-Corwin’s Spiritual Care Department. 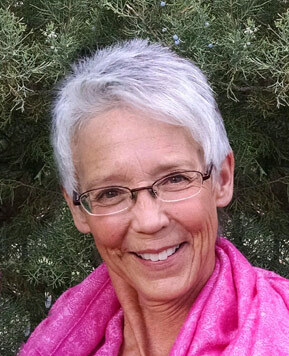 She resides in Pueblo, CO.
​Deb Schubert, Ed. D., will share some of her remarkable experiences in the passing of her mother and the continued dialog they had after she crossed over. 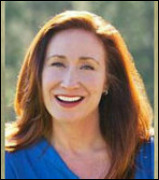 Those experiences resulted in her first book, “Gloria’s Heaven.” In the early nineties, Deb shifted her focus from college teaching to a private practice in her intuitive work—including energy work and the profound gift of acting as a channel between those loved ones here on earth and those who have passed into spirit. Deb is also author of The TIJAH Deck and Life in the Fishbowl, Swimming Without Fear. She resides in Colorado Springs, CO.
​Meryl Runion Rose, MSCI, CSP, and her father share an intimate and tender end of life journey. Though Meryl is highly intuitive and her father is trained as a rational logician, they discover surprising connections to each other’s hearts in his last months. Through exploring vivid dreams, random thoughts, agonizing confessions and surprising secrets, they bumbled their way together in his dynamic deathing process. Meryl will share some of the synchronistic and multi-dimensional experiences father and daughter experienced and how it has changed her life. 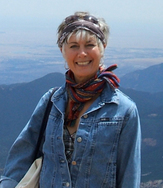 Meryl is a best-selling author, teacher and speaker from Cascade, Colorado. ​Janelle Washington has had many wonderful experiences traveling the world. She lived in California, Alaska, & Hawaii before settling in Colorado 20 yrs ago. As a devout Atheist, she never imagined she would have the beautiful, extraordinary and spiritual experience that she had when her father passed. Janelle has now realized what her life's purpose has always been, which includes being a massage therapist. That purpose is an ever-evolving journey for her. She is excited to share her SDE story and the important lessons she has learned. Janelle lives in Denver, CO.
​Staci French, medium, psychic and life guide, returns again this year with stories from the other side and insights as to how and why we can trust our SDEs more readily. Because of her ability to see and hear loved ones who have passed, she validates the contact we can have with those who are in the process of crossing over. All her life she has been intuitive and receptive to messages “from the other side,” which now informs her intuitive coaching work. Prior to this, Staci spent 20 years working in the electric utility business in the NW. She is the mother of three children ages 5 to 21-years-of-age and lives in Colorado Springs, CO.
​Reverend Roger Butts will open and close our day with a blessing of grace for all who attend, all who mourn and all who long to find more ease in their lives and their departure. 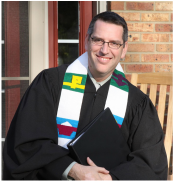 Roger is ordained in the Unitarian Universalist tradition and is Associate Minister at Unity Spiritual Center in the Rockies and a Staff Chaplain at Penrose St. Francis Health Services in Colorado Springs. He lives in Colorado Springs with his wife, Marta Fioriti, their three children and two black labs. ​What is a Shared Death Experience (SDE)? Various unexpected phenomenon often occur around the soul’s transition into the afterlife. Those to whom we are psychically and emotionally connected may offer us an opportunity to witness these deeply touching events. We may wonder if we are “making it up” or imagining that something occurred. Yet if we pay close attention we might notice that the veil thins and the world beyond this one becomes tenderly accessible. Because our day-to-day routine has been disrupted, so has our consciousness, thus providing an opportunity to perceive a broader spectrum of reality. Dr. Raymond Moody’s pioneering research opened the global conversation on the near-death experience (Life After Life) which our 2015 SCCCLD panel addressed so beautifully. Not so well-known is his research into what he called the shared death experience or SDE. (Glimpses of Eternity) Research continues in this field including training to develop the skills for SDE work. Noticing unusual phenomena in the natural world with animals, insects, birds or weather. Feeling immense love/peace (or sometimes pain/disquiet) that seems reflective of the dying person’s experience.